In Alters multitasking wake, the house seems unnaturally quiet. The living room is exceptionally neat and guest-appropriate  no easy feat for a family of eight (two adults, six children). A washing machine cycles unseen. The wife, mother, rebbetzin (Im uncomfortable with the title  I like Rivka), Judaic and math teacher at DAT, doctoral candidate and former accountant agrees the kitchen would be a good place to talk. With an unerring sense of what goes where, she swiftly cleans off the table and occupies a chair. A decorative bling sparkles on the headband framing her shaitel. Her nails are plum-colored. This morning, Rabbi Daniel Alter, whom she married in 1997, is at DAT, where he is head of school. The kids  Yehuda, on the far side of 11, Shimmy, 10, Talya, 8, Elisha, six, Ezra, three, and Avigail, 10 months  are either in school or at daycare. Although Rivkas teaching schedule at DAT is flexible, one senses that enjoying a lengthy conversation around the breakfast table isnt a normal part of the routine. While balancing family, job and social responsibilities can be very demanding, this modern Orthodox woman feels she benefits from the mix. I think it makes me more organized when theres a lot going on, she says. The busier I am, the more productive I am. I dont like surprises. If I know what my day is going to be like, I can get through it. Anything is doable. Now starting the dissertation stage for her PhD in education for Yeshiva Universitys Azrieli Graduate School of Jewish Education and Administration, Alter will investigate curriculum-based measures. Alter says her husband is the one who encouraged her to pursue the degree. To the casual observer, Rabbi Alter has an unmistakable air of intensity about him. Hes always on point; poised to address any issue. The family moved to Denver in 2000, when EDOS hired Rabbi Alter as its spiritual leader. 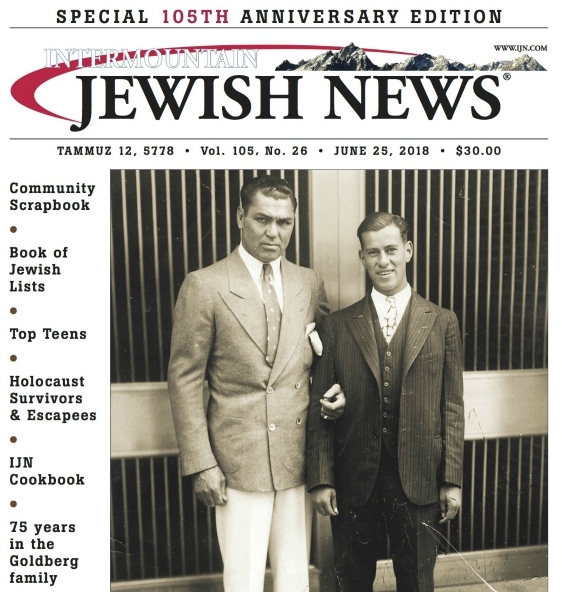 We were the youngest by far in Denvers modern Orthodox rabbinical community, Rivka says. In 2006, Rabbi Alter joined DAT, which attracts longtime Denverites as well as youthful families putting down fresh roots in the area. Now were the old timers, she says of the DAT scene. Were definitely not the young ones anymore. Her bare face is radiant; her laughter, uncensored. RAISED in an observant home in Englewood, NJ, Rivka Carmel grew up surrounded by faith and familiarity  but later pushed the envelope of traditional expectations. When she enrolled in college, she opted for accounting, a serious vocation with practical applications. After receiving her degree from the Sy Syms School of Business at YU, she started working for Arthur Andersen in New York. And no, I did not have Enron as my client, she jokes. The job offered what she describes as prolonged exposure to all types of people. The New York office was full of Jewish accountants, but not that many religious ones. She says her co-workers constantly asked questions about her Torah-observant orientation, and she was happy to provide a little insight. An arranged date with rabbinic intern Daniel Alter led to the chuppah. After the birth of their first child Yehuda, Rivka quit her two-and-a-half-year job at the accounting firm. She has discovered that modern Orthodoxy means so many different things to so many different people, she reflects. For example, I tell you that Im modern Orthodox. But if I introduce you to other people who are modern Orthodox they might not look the same as me, they might not talk the same or have an identical lifestyle. And I think modern Orthodoxy gets a bad rap for that. People assume that modern is more important  if I can be modern and somehow manage to fit Orthodox into my view of the world, then great. But its really the opposite. While Alter may dress conservatively  a fashionable mid-calf skirt, sweater and boots  some women at DAT might adopt more individual dress codes and even forgo the shaitel. What makes this way of life so hard is finding a balance, she says. The DAT community is very supportive of their children. While we strongly encourage Torah learning, we also incorporate fun like Copper Choppers, a Sunday skiing trip to Copper Mountain. Although Alter supervises her children when they use the computer  its not that Im standing on top of them, but I make sure theyre not being exposed to anything inappropriate  its virtually impossible to limit their exposure to external influences. Alter says modern Orthodox Jews are constantly looking for ways to integrate the modern world into their Torah-observant value system. DESPITE being a rabbis wife and the mother of six children, Rivka Alter concedes that shes never pursued the domestic track alone. Ive always been one of those people who could never have one best friend or put all my eggs in one basket, she laughs. Ive always had to be involved in different things. Ezra and Avigail, her youngest, attend daycare. Between her family, the laundry, cooking, cleaning, hosting large meals on Shabbat for the DAT community, teaching and her dissertation  not to mention being shomer Shabbos  when does she find time for Rivka? Initially, her coursework at Yeshiva University was an attempt to become more anonymous in an environment apart from Denver. Now we all go back East every summer for six to eight weeks, she says. Its a wonderful opportunity for the kids to spend time with their grandparents, and for me to see friends from my life before this one. She has scaled down on social obligations so she can spend quality time with her kids, especially at bedtime. As her children grow up and older, she recognizes the importance of returning to her own center. Right now, moments of prayer occur on the run. I look for the time, and once in a while I find it. And when the kids are older, Ill be able to do things I havent done in years. Im not remorseful. Different opportunities present themselves at different times. And thats what G-d wants. I think the reason women are exempt from certain time-bound commandments is because of the primacy of raising a family. Alters prayerful intentions are frequently interrupted by voices who require her immediate love and attention. She rubs a spot off the table. She walks back to the living room. On the piano, an instruction booklet opens to Ode to Joy, the stirring final movement of Beethovens Ninth Symphony. Hmmm, Alter says, turning the page out of curiosity. Our print VIP special section includes profiles of community volunteer extraodinaire Scott Levin, Feldman Mortuary’s Jim Cohen and adult educator Elinor Greenberg. Get your copy by subscribing to the IJN or contact Carol at (303) 861-2234 or carol@ijn.com to purchase individual issues.